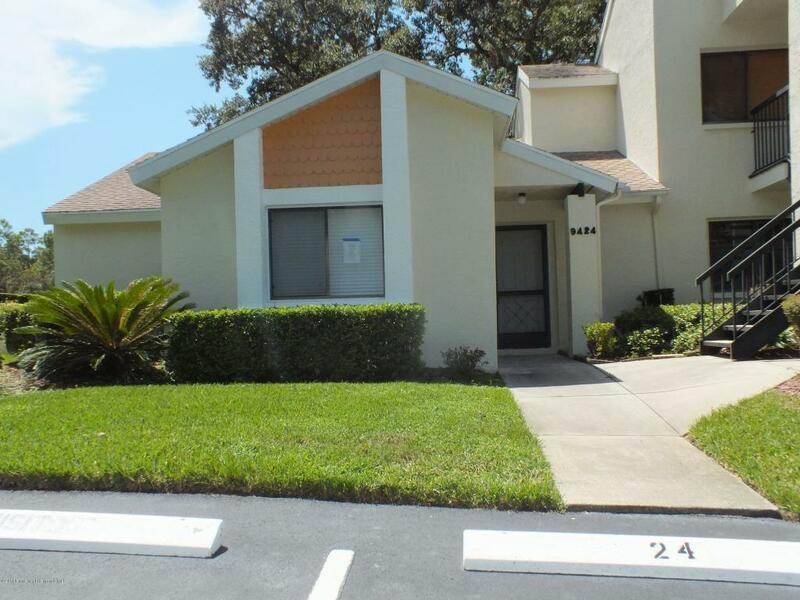 Golf Front-End Unit Condo-one story-Newly remodeled, no neighbors above. Greens at the Heathers, maintenance free, private quiet location. Screen lanai, galley kitchen with smooth top range-oven, dish washer, breakfast nook, laundry w/storage, shower in master. Laminate floors in great room. Recreation includes pool, exercise room, shuffleboard, more. Seller never occupied property, no disclosures provided. Optional golf course. No pets.